Foundation skills in music and movement taught through songs, movement puppetry and creative music making. Congratulations to everyone who played Medieval music at Med Theatre's production in Ashburton. We had a wonderful review and the music was much appreciated! 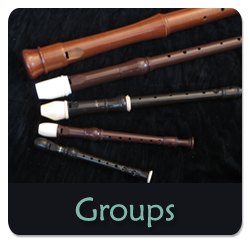 The Merrymakers - the children's medieval music group ( recorder based) will be rehearsing again in preparation for various events. 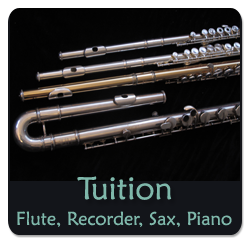 Free Recorder Resource - videos on how to play recorder - first notes. 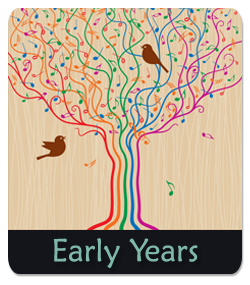 These videos support the teaching in 'Sing and Play' a foundation skills in music group for 5-7 year olds at SaMM Totnes - the wonderful Saturday morning music school in Totnes. They are free to all. Just before Xmas 2017 the newly named - Merrymoor Consort - the community medieval group - performed 'Mary of the Moor' at Ashburton Arts Centre as a fundraiser. It was a poetic and musical telling of a medieval tale from Bovey Tracy - a touching tale of a child being healed. It was set in beautiful medieval music played by the consort with poems by Dartmoor poet - Rachel Burch. We are just planning an event for this year - will post date and details as soon as confirmed. Audience feedback was really lovely and we hope to perform it again next Xmas. The recorder consort plays some beautiful classic recorder repertoire as well as some interesting pices from other genres.An intermediate group with a focus to work on pieces and develop a superb sound as a group. The medieval ensemble continues to be a delight - especially with the addition of a cellos. Mostly for flutes and recorders - playing early medieval music. The emphasis of this group is on having a really enjoyable time playing beautiful but easy music. All welcome - easy level. So far - the groups have been arranged on a project basis - so rather than a weekly commitment - rehearsals have been arranged depending on the project. In the groups - with simple arrangements - kids play the larger and very beautiful recorders easily.